Looking to buy a controller due to aliexpress sale the next few days. I don't know what to get. I'll be using an Opi plus, which I can't even find specs for anymore. I assume it'll still work. I also have an Opi PC and could swap tasks to free it up. I don't know if the plus has bluetooth and I couldn't find info on it, only PC plus and 2E plus. Would I prefer USB or bluetooth? I see that getting a BT adapter is inexpensive, so what are the pros/cons of these methods? Also is there some reason I sould abandon the hardware I have and go with a newer OPi? Seems silly to get rid of hardware that works fine, but maybe there's a good reason? For reference, I'm using the Supreme Retrostone v1.3 OS and after setting it up, it was working great. Instead of leaving well enough alone, I decided to mess with some of the settings and now the system is broke. I'm hoping that I won't have to reflash the SD card with the operating system and lose my save files and save states. What I did specifically was I was looking at the SNES game list and went to settings and found a game view list setting section. Options included Basic, Box, and Video. (These could be wrong since I'm writing this off of memory since my system won't boot) I selected the Video option which caused the system to crash. Attempts to soft and hard reset result in the same thing, being stuck on the Retrorangepi loading screen. I should have figured that this setting would have required adding video files or something like that beforehand, which I didn't do, sadly. I'm used to technology that prevents noobs like me from breaking it. I'm hoping there is something that can be done to fix this. If not I would settle for just the ability to recover my save files. After some years of inactivity I installed a fresh copy of ROPi 4.2 in my OPi Plus2 without problems, but system don't recognize usb keyboard nor joystick. I have Retrolink N64 wired joystick and a USB wireless Microsoft. I've read about Retrolink joystick troubles, but a keyboard problem it's weird. It could be compatibility with my board? I am a mere user and I do not have much idea of linux, I write this post to do my bit for those who might be interested. Finally I bought an Orangepi 3 (OPI3) with EMMC and H6, instead of a raspberry. While developing the fabulous software armbian and retrorangepi that I appreciate all the effort, I found that to play with the new toy easily for a novice like me there were currently very few options in a simple way you burn an img and play. Within my ignorance, in http://www.orangepi.org/ I saw that the operating system could install: Android or Linux. Like most developments of emulators and FrontEnd that I found were for linux, because that's where I started. Install Ubuntu and well, I noticed the slow system. And I was not able to install retroarch, or retropie or recalbox with emulationstation for my inexperience I think. Probe with Debian, same result, problems installing with certificates that I could not solve, slowness of the system appreciable. I only had to try Android that I just did not like. In android probe several emulators and frontend but I did not quite like the final result, some failed the mapping of the controls, others could not remain as an independent arcade. Probe Romflix, where the Kodi recognized the 4 cores but did not properly map the controls (start button in the emulators) and I did not know how to solve it. And I did not like it because it launched external emulators separately and had to be configured one by one. Try the Gamesome and the afba, same result as with the Romflix, it did not map correctly. I also tried RetroArch_aarch64.apk and it said that it was not compatible with the Android 7 installed, we can not install it. Android 7 in OPI3 + Retroarch + ArcBrowser. Configuring controls correctly in Retroarch and put ArcBrowser as Startup application in the Android. It is fabulous, fast, playable, stable, while we are waiting for your specific retrorangepi. To burn the image of Android 7 you have to use the PhoenixCard and mark the Startup option, and once the Android "Initiate" SD in Storage to get all your space. Important to know that once the ArcBrowser is set as the Startup application (Home app), in order to exit the ArcBrowser to update roms or whatever, a multimedia USB keyboard is necessary, and while booting the OPI3 in the bootanimation press the "Windows" + "Volume Down" key . You will enter in Safe Mode that the settings will not work correctly to modify the startup application, but in the next restart it will start with the default and problem solved. NOTES: The retroarch detects only 1 core because I do not know why (maybe it is not aarch64), although it is very good and fluid. The 1GB network card on Android works as if it were 100Mbps or even less (5-6 MB / s). As the protective case were still being developed, I caught this one of raspberry that doing with the dremel a few holes is perfect. They have just taken out the one that is totally closed for OPI3 but I think it is much better. I attach a photo. Hi hope this all makes sense but im quite new to all this. I cant get the scraper to work in 4.2, on another thread this was said "The GamesDB source has changed their API. The version of EmulationStation that is used in ROPI doesn't support the new API. " 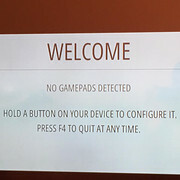 and this was true with retropie until you updated emulation station, however if I try to update emulation station on rertorange pi 4.2 it does not fix it and after the update shows it is now 4.1. Also I copied all my rom folders along with scraped images and gamelist files from my retropie to the retrorange pi and all the cover art shows fine apart from the GBA where the game description shows but not the images. I want to know if anyone has used a Wechip R69 H3 TV box with RetrOrange Pi. ( Cases looks the same as a Senvell H2 R69 ). It might just be a rebadge box. I don't know if the main board is the same. I am asking for feedback on responds, usage, playability, and any overheating, when running RetrOrangePi on this Wechip R69 TV Box. Not sure which part of your forum to post this question in?